On February 26, a picture of a dress went viral. Why? Well, because while some people think that the dress is white and gold, others think it is blue and black. The picture of this dress has overrun the internet. It has been on Twitter, Instagram, Tumblr and many other blogs. Daylight changes colors. Lighting changes the way we see. It’s like how a flash on a camera can brighten up a picture and sometimes “change the original colors.” Our human eyes have adapted to see in the daylight, but some images, like this one, hit some perceptual boundary. Some people’s eyes have become more adapted, and others have adapted less. Depending on the person, the dress looks different. You must all be wondering, what color is this dress? Well, it is officially blue and black. It has confirmed by the buyer, and the seller. Personally, I view the dress as white (with a slight hint of blue) and gold. 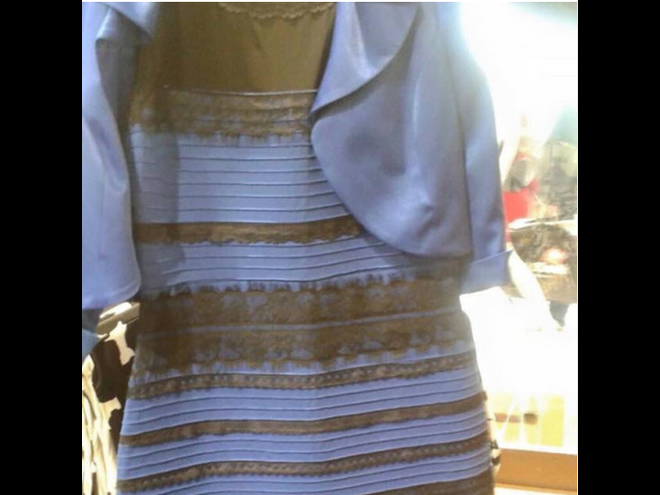 Hopefully, the debate should be over now as it has been settled as blue and black. 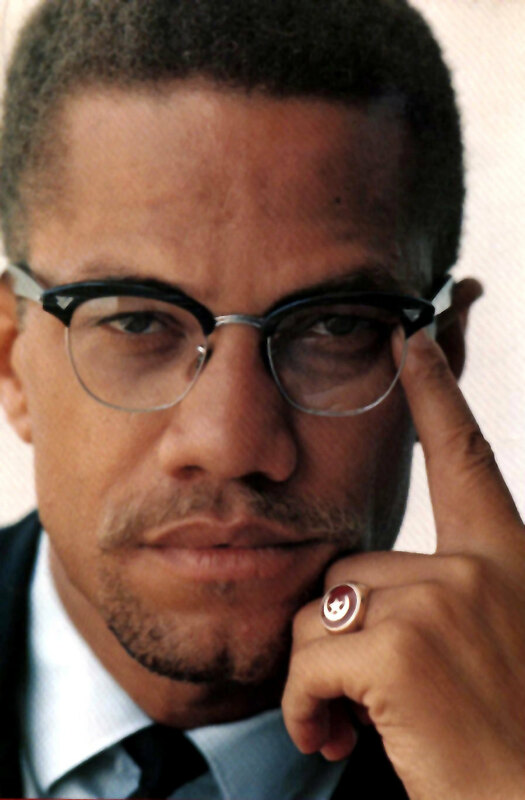 Malcolm X was a Black human rights activist who inspired some but angered others. Although he wanted African Americans to have equal rights, he and Martin Luther King Jr. didn’t always see eye to eye in how to do things. Martin Luther King Jr. used peace to get things done while Malcolm X used more violence. Malcolm X changed how African Americans thought about themselves, he once said “There can be no Black-White unity until there is first some Black unity…. We cannot think of uniting with others, until after we have first united among ourselves. We cannot think of being acceptable to others until we have first proven acceptable to ourselves.” February 21 was the 50th anniversary of Malcolm X’s death. Malcolm X was shot at the age of 39, while he was at the Audubon Ballroom. The autopsy at Columbia Presbyterian Hospital identified 21 gun shot wounds. It is important to remember Malcolm X 50 years after his death because even though not everybody liked him, he still was an important figure in the fight for civil rights. On February 26 two llamas swerved in front of a car. It was just a little while before noon when two llamas escaped from an assisted living center in Sun City, Arizona. They were running around and were able to avoid capture for about an hour. As they were running, many diﬀerent news vans were following them. Law Enforcement were able close in on the llamas. The chase began when a 911 call was made to the Maricopa County Sheriﬀ Oﬃce just before 12:00 PM. 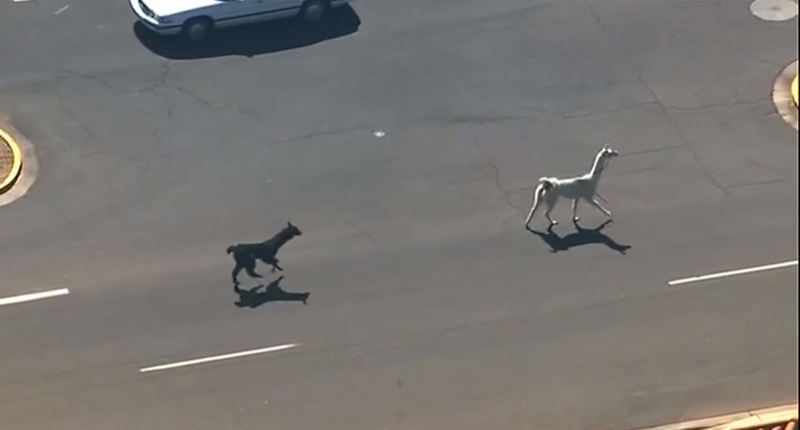 At noon, there was a report that there was an older white llama and a younger black llama. After about an hour, they were captured by a man on the back of a pick-up truck. By about 1:40, they were safely put back into their trailer. Most of you know Mrs. Kidwell in one way or another, maybe not by name, but you know her. She is the MSHS Office Secretary here at RCS. This week, I had the opportunity to interview her and learn more about what she does. 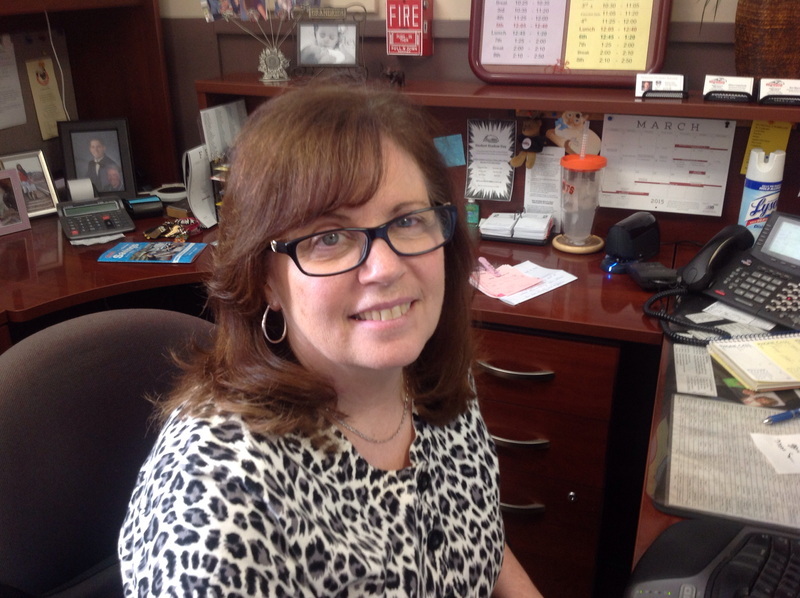 Mrs. Kidwell says that though the office has its hectic days, there are some very mellow ones as well. She says that the days she tries to plan out end up being the craziest! “It’s the Lord’s way of telling me to let him plan everything,” she says. Some of her daily duties in the office include answering the phone, assisting people, typing the bulletein, and taking care of all the money. Mrs. Kidwell really loves her job. She ought to love it, since she’s been working at it for 28 years! She says that it’s very fulfilling to have been serving everyone for all these years. Jog-A-Thon is here! For those who don’t know, Jog-A-Thon is a fundraising event to earn money for the school. You basically get people to sponsor you for every lap you jog. There is a very tight race for who turns in the most forms that you turn in to get prizes. Most people do the jog forms just for the cool prizes and money for themselves. But, there is actually a much bigger purpose than just getting prizes. There are a lot of people that go to this school because of jog-a-thon, and the money it makes. We also use a lot of money from jog-a-thon to get the iPads that we have today at RCS. We are all going to be running anyway, so if you didn’t turn in forms this time, try again next time. It is not that much work at all, my friends got 15 forms done in 5 minutes. You also get prizes as well, like: a fun RCS bag that holds things, an RCS t-shirt, and even a chance to go to In-N-Out with Mr. Hearne! It feels good to help out our school and our friends by simply filling out forms. There have been a lot of fun activities happening on the Redwood campus. We recently had a middle school social that was held in the multi purpose room. What made this event fun was that we got to eat hamburgers, fries, and ice cream, and hang out with friends. 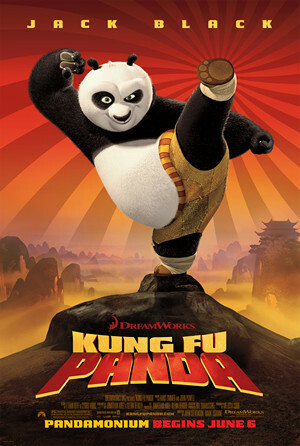 But the main event of the evening was watching the movie Kung Fu Panda. When it was all over, and everyone was starting to leave, the multi purpose room was a big mess. There were chairs everywhere and popcorn all over the floor. The student council along with some other students helped the teachers clean up. I can’t remember a thing that went wrong, except waiting a very long time for the ice cream. The ice cream tasted good, but the problem was that the plate the student council served it in was so small that I finished my ice cream quickly. One of my other favorite parts of the social was the Kung Fu panda movie that I’ve already seen about one million times already. What made the movie entertaining was watching it with my friends. I kept looking over to the left of me to see how everyone’s reactions were to the movie and Jose and Melvin were looking at it like they’ve never seen it before, even though I’m 99% sure that they have. This was one of best socials and I hope to have more like this one. You Can’t Hide that Eagle Pride! Volleyball is currently the only MS Girls’ sport going on right now. The teams’ players are: Izzy Alfaro, Araela Richie, Vanessa Harris, Jasmine Archuleta, Morgan Carlton, Olivia Clausen, Seguah Dwumfuoh, Joy Flores, Grace Garcia, Dione Jergo, Mari Dumas, and Alisha McCullen. I interviewed Vanessa Harris and Areala Richie. Vanessa’s position is center, and Araela’s position is the outside hitter. They both have been on the team for at least two years and have lots of practice. They both believe that their team has been doing well, which explains their 4-0 record so far. For practice, the team does an hour warm-up, involiving serving, hitting, and an exercise called “on the wall”, which is blocking and tipping the ball. Overall, the team did really well, considering they’re competing with some of the best Christian schools in the Bay Area. Let’s go Redwood Eagles! For you baseball fans, what comes next is a strange question. Should the baseball season be shortened from 162 games to 154 games? On February 26, in a press conference, MLB commissioner Rob Manfred said that the idea is not impossible, and that there used to be only 154 games a season. Most team owners are against this for a few reasons. Box office sales go down because there are 4 less home games. Also the playff race is much shorter, which again affects sales. Also players get paid the same to play less games. Players would benefit because of some other reasons. The players would be paid the same to play less games. Also they are not as exhausted by the end of the year. I think that shortening the season would be a good thing. For example, in the minor league, seasons end at the beginning of September. Comment below if you have an opinion about the length of the MLB season. Go here to read more about the story. 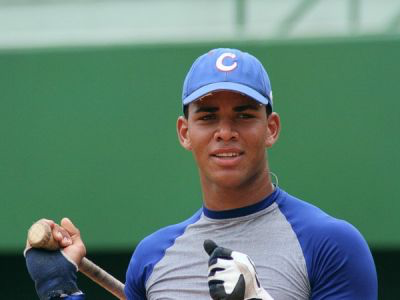 Recently, the Boston Red Sox have invested $60 million in Yoan Moncada, a Cuban baseball player. They’re paying $31.5 million for the player himself, but then they have to pay a $31.5 million for exceeding the spending limit on Cuban baseball players. Essentially, they’re paying for a number one pick which the Red Sox have never been able to get. John Henry, the owner of the Red Sox, stated, “Would we pay up to get a number one pick? Yes. I think we’ve done our homework and we expect a lot. Any time you spend $50 million or $60 million or $100 million on players, it’s a risk. It’s so difficult to predict performance. But if your goal is to win championships, you have to be bold.” Moncada is an experienced athlete. He is a switch-hit batter with power and he can run and throw. He’s an experienced 2nd baseman and shortstop, but he could easily play many positions. The bidding came down to whichever was the highest. It would’ve been possible for him to play for the Yankees or any other team, but the Red Sox made a bold choice. Right now, the Red Sox are not saying how long the contract will last for. There is still more information about Moncada to be released as Spring Training gets nearer. My family uses youtube for entertainment and a resource. Our family does not have cable or any way to watch TV. We do have a TV but we only use it for video games mainly, but sometimes it gets to the point were we stop playing video games and then watch youtube. My dad, and sometimes my brother, use youtube as a resource to learn new things. They can use it for school and for a job. If someone has made a video on something that is school related, or if a teacher tells us to look something up, we can watch it on youtube. My family uses it for music as well. My dad will sometimes find something on youtube that we can all enjoy. Youtube has affected our lives in many ways. Youtube has changed our lives and I hope it changes yours.